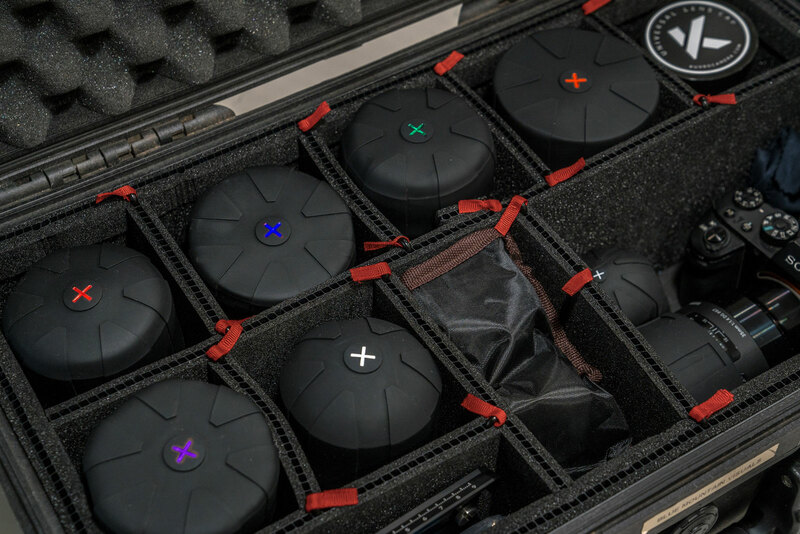 Kickstarter: Universal Lens Cap 2.0 – The Only Lens Cap for Every Camera. 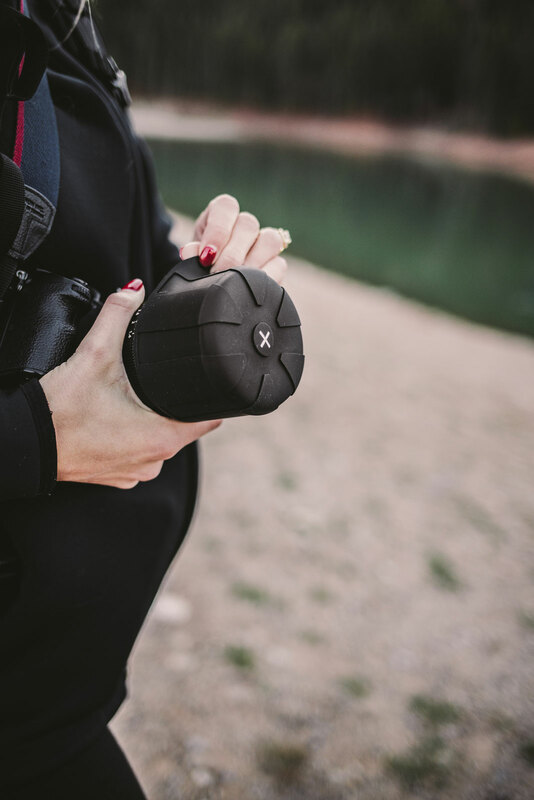 KUVRD (Covered) has launched their second version of the Universal Lens Cap, simply called 2.0. With the introduction of the second iteration, they now offer two different sizes dubbed Micro and Magnum. The new versions make using the covers easier. The caps now stretch and secure onto your lenses better. The top of the caps come with a “white x”, which you can color code yourself. The Micro cap is designed for smaller lenses, it starts at 54mm diameter and can stretch all the way up to 76mm. This is the perfect cap for smaller mirrorless lenses, rangefinder lenses and DSLR lenses. 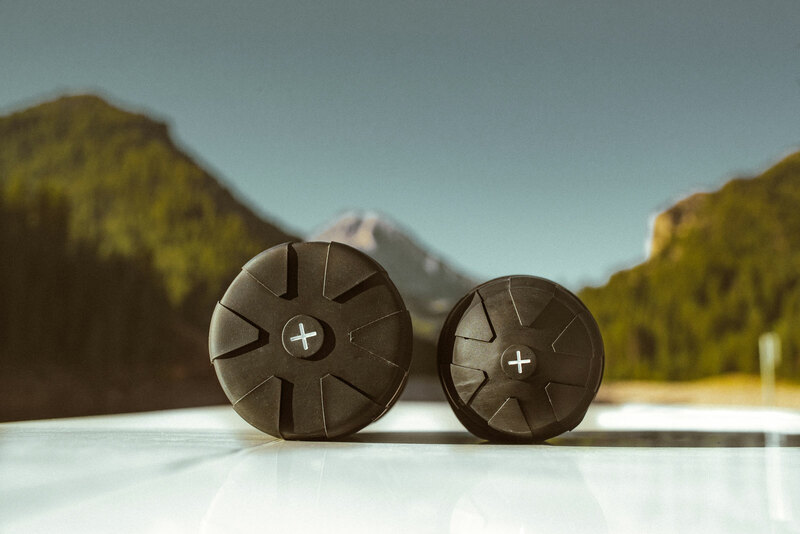 The Magnum cap is designed for everything else. It starts at a diameter of 72mm and stretches to 122mm and will fit most bigger lenses for DSLRs and mirrorless cameras. As well as Cine-lenses. This campaign has already reached funding, so you can be confident that your Universal Lens Cap 2.0 will ship. 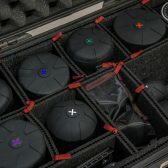 Lens caps that don't fit every lens are a problem that needed solving? Why? With fairly decent lens caps selling for ~$1 on ebay, I bought a large selection, a few of each size depending on what I use most. I spent about $40 and keep them in a case sorted by size. I put the original cap away, and use the cheap throw-away ones. I see prices are up to S1.15 now. $17.50 each when you have a dozen lenses?? Just because a project has full funding, or even a lot more, doesn’t mean that there will be a delivered product. I can say that with some experience, having participated in several project fundings. About a third of those I helped fund, and that received more than their ask, failed to deliver. A number of very well funded projects famously failed. Some fail through incompetence, some fail through fraud. Because buying a three dollar (or less) lens cap in your specific lens size is so difficult. A lens cap that requires two hands to secure is not a good design. Arent these useless with a hood? The best lens cap is a UV filter. A good one though, so it doesn't get "welded" on and you can remove it when desired. True. But a company that has had one successfully delivered product makes it much more likely they'll be able to deliver a product again. I've backed 60+ products, and now tend to only back creators that have successfully done so at least once before. With that said, because the product is delivered, doesn't mean it's a quality product or good. 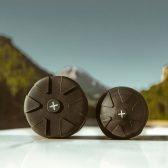 They mention that their version 2 is made of new, more durable material probably because when I was looking up reviews of their version 1 product, a lot of people were complaining it was very hard to attach the caps, and a lot of people were complaining about version 1 tearing. That's what I would be more concerned with in this particular Kickstarter case. I'd comfortably bet they will deliver something, but I'm not comfortable that it will be something worth receiving. But is it better than a baggie and a rubber band off of the broccoli? A baggie can be compressed into a much smaller package and stuffed into your pocket when off the lens. That was my first thought when I saw the video. Nope, you're totally right! It doesn't need solving at all which is why the traditional lens cap has worked for decades. We didn't create the Universal Lens Cap to solve the problem that 'lens caps don't fit every lens' (heck, we had to create V2 that comes in two sizes) but wanted to create a product that photographers felt comfortable using to provide the convenience of not having to rummage through a bag to find the exact right cap, to provide more protection and insulation from earth's elements intruding and harming their lenses and a lens cap that worked for both sides of a lens! It doesn't cure cancer, solve world hunger or even 'replace' the traditional lens cap. It's merely an alternative option to the traditional lens cap with a few added features! Yep, you're totally right! 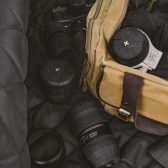 It doesn't make sense on a financial level to buy a dozen of our product when you could easily buy a plethora of traditional lens caps on ebay at a fraction of the cost! 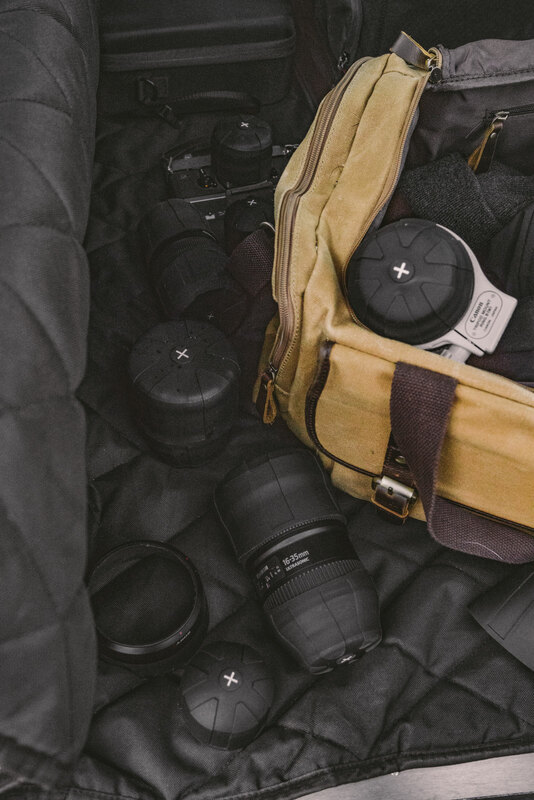 Heck, we designed the Universal Lens Cap and we'd feel the exact same way you do if our buying decision was determined strictly by comparative prices. I guess our only rebuttal is the fact that we successfully funded our first Kickstarter Campaign and delivered 40% of orders within 3 weeks of the Kickstarter ending... and the other 60% of orders 3 weeks after that.... just as promised and stated in our 1st kickstarter. For our 2nd Kickstarter, we already have our first run of V2 produced. In fact, it is being packaged as I write this. 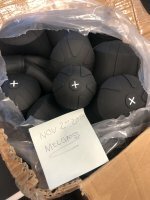 Our manufacturers updated us this morning (11/2/18) and told us that they have 3 more days of packaging before air shipping 20,000+ units to our warehouse, where we have a full team scheduled and dedicated to fulfilling and shipping out Super Duper Early Bird pledge orders the last week of November and first week of December... ensuring that they arrive before Christmas of this year.... as promised in our 2nd Kickstarter. But you know what? I'm going to throw a curveball at you and respond to your hesitancy with this. We have 76 Golden Samples left of the Micro & Magnum. I have attached a photo showing you that they're not even packaged yet. Send us an email at contact@kuvrdcamera.com with your shipping address, phone number and email address and I'll personally package for you a 2-Pack of MICRO Universal Lens Caps (V2), 2-Pack of MAGNUM Universal Lens Caps (V2) and throw in another 6-Pack of the Original Version and have it expedite shipped to that address you provide... All for free... All in hopes that you back us on Kickstarter for V2... and for whatever amount you feel comfortable pledging. -If you end up NOT backing us for V2, you still get 4 Golden Samples of V2 and a 6-Pack of the Original Version... hopefully it compensates for those failed Kickstarter campaigns that you helped fund, yet never delivered as promised... I mean gosh, it's weeks before Christmas, you could even gift them to fellow photographers winning over their admiration and loyalty (haha). -If you end up backing us for V2 and you DON'T get your order, at least you got 4 Golden Samples and 6 of the Original Version to compensate for the fact that we ended up falling into the category I'm trying to convince you we're not apart of... that is, the "fully funded, yet never delivered" Kickstarter Campaigns. -If you end up backing us for V2 AND we deliver your order as promised, you'll have 4 Golden Samples of V2, your Kickstarter order of V2 and a 6-Pack of the Original Version. You win in all scenarios... so the ball is pretty much in your court. Look forward to proving myself and keeping your camera gear KUVRD ('covered'). Good one! 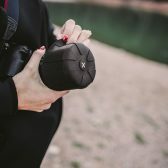 I agree with you that buying a three dollar (or less) lens cap in your specific lens size isn't difficult at all and if that was the only factor in buying a lens cap, I would even go as far as saying that someone who would buy a $20 lens cap is just plain crazy. We could go on forever... couldn't we? Next PostNext Canon Financials for Q3 2018. Sales down, outlook good.